The preferred avatar of Snotting Black, an obnoxious personality with even worse syntax. My first inkling that something had gone amiss was when I logged onto wordpress a few weeks ago and found that some of the comments on my most recent entry had already been responded to, and quite rudely at that. One innocent blogger named gazzelify was told that her stupid avatar and habitual spelling errors had never been welcome on my site. Another comment by sporklight was responded to with these instructions, “Go to kitchen. Preheat oven. Insert head.” Not only was that mean, but I thought it more gruesome than necessary. Confused and upset, I apologized to these bloggers, insisting that my account had been hacked and that I was doing everything I could to fix the problem. A few days later, I was sipping my morning Nescafe when I saw that someone (not me) had published a new blog post. It was a grotesque entry that outlined in great detail how to steal neighbors’ pets and blame the deed on their children. I deleted the post immediately but not before some visitors had expressed their surprise at finding something of this nature on my site. Even more astonishing, a handful of people had liked it. I quickly reported them to wordpress.com and began composing something whimsical yet edgy in order to compensate for the depravity of the previous post. The folks at wordpress said that they’d been seeing cases like mine more and more frequently and that it would be fixed as soon as the staff shaman returned from his vacation in the Catskills. They also said that it was, in fact, my fault. Be careful what you write. My name is also Emily. p.s. I don’t actually love YOU but I love your blog. Unless you want me to love you in which case I don’t. OK I’m just kidding I do. I love you too, in the way that a blogger can love someone for a comment she leaves on her blog. I say thank you, as if thanks has ever been an appropriate response to a confession of love. And I love you for reading my blog. This is very disturbing. My wife became self-aware earlier tonight, and if my blog follows suit, I may be looking for a new address, or maybe a permanent vacation. I would recommend you fashion a plan now, just so your ready when the time comes. Wise advice to follow, but the sailing has become much calmer now. Sometimes a shot across the bow can be a useful warning, to do what’s necessary to avoid an imminent and devastating broadside from a full cannonade. The lesson that I’m taking away from this, is that a self-aware blog is not nearly as dangerous as an unaware blogger is to himself, and most of all when he doesn’t know that he’s dead center in the cross hairs of a suddenly self-aware wife. Haha. Me too. I’m way too paranoid to google my medical symptoms anymore because WebMD scared me. No I’m going to be afraid of my own blog trying to drive me slowly insane. Don’t be surprised if you see me there too. My grandparents always said that technology was the tool of the devil! I think my grandma just got tired of one two many posts about unicorns. Thar be ghosties in them keypad!!! If only I could train my blog to do all the work but never become self-aware enough to want any of the credit. It is my pleasure…really. All the pleasure is mine so don’t try to take it. But seriously, I’m glad you enjoy! The men in white coats are bringing a straitjacket personally designed just for you so don’t go anywhere, k? Are they bringing ho ho’s? Dunno…the big guy dressed in red promises you a “Ho! Ho! Ho!” But now I’m worried — your blog guy (at least I think it’s a guy) wants to take over my blog, too. What have you unleashed on the masses?!?! I can’t control him! Save yourself! Oh my goodness that’s insane! I’m just surprised wordpress hadn’t worked these kinks out…it could happen to you! Howd they even get in? Did they ahve your password? There is a movie about this, starring Linda Blair. I wrote that movie. I made 10 bucks and a tub of gummy bears. This is like the prequel to the strangest Terminator movie ever. In which computers and humans battle it out to have the most popular blogs with the best cat photos. Ok, I was going to make the 2001 “Daisy, daisy” joke but I see I’m not the first. Maybe send your blog off to boarding school to get it out of your hair? That would teach it a lesson! That explains why some feedback that showed up under my name was so testy. My blog is trying to take over. I can’t beat it with a stick ’cause I’ll ruin my laptop. I’m having a hard time typig th Hello, I’m Enoch. I’ll be responding from now on. Uh oh this doesn’t look good……..Enoch, where’s Tom?!?! Pshh! All computers are becoming sentient now a days, it’s mainstream. For me, my sandwich has become self aware. It’s not happy with the whole “Me eating it” thing. 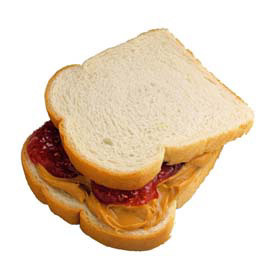 Typical sandwich. I wouldn’t expect anything less but you have to wonder, will its screaming during the eating process make it taste better? Obviously. Pain and terror are delicious. Dang it. This is one of those rare posts I wish I’d thought of first. From now on run your ideas by me before you publish, k? Very nice! Well…..I’ll contact my lawyer and maybe we can get something drawn up. You had me there for a moment. I really thought your blog was getting hacked, haha. Hahaha….I’m glad it was convincing! Well done well done….excellent allusion. My blog approves too. You AND your blog are hilarious!! Oh stop! You’re too much! whats this about teddy bear superheros?! See! I knew my blog was wrong! Could be an upcoming blog post….